What level of personal responsibility should teens have for making their own choices and accepting the consequences afterward? What social/environmental factors might influence teens’ decision-making processes? What intrinsic factors might influence teens’ decision-making process? When do teens make the best decisions? The worst? What types of “bad decisions” are common in teens? What are the consequences of these bad decisions? What is unique to teens’ today that might influence the decisions they make (for better or worse)? Is being a teen difficult? Why or why not? If being a teen is difficult, what are some ways individuals cope (positive and negative)? Is true love possible as a teenager? 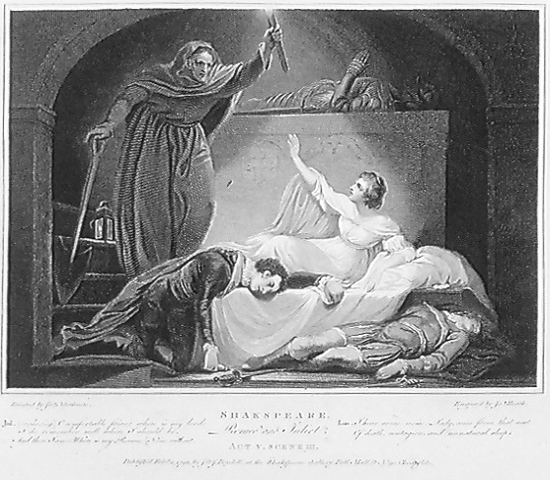 How might Romeo and Juliet’s experiences have been different in today’s society? Is the romance between Romeo and Juliet realistic? Should teens engage in romantic relationships? What are the positive effects? The negative effects? I updated the Power Point I used in Renee Jackson’s classes (see post here for the Julius Caesar Socratic seminar referenced and bottom of the post for updated Power Point) to introduce his classes to the process and gave each student a guided notes sheet and the same Socratic Seminar Rubric used in Jackson’s classes. Parts of this article might be good. Some scientific language that might be difficult for students, but it does a good job of explaining why teens need autonomy. When Jackson and I went through this process with her students, the class read the non-fiction sources together using the Non-Fiction Close Reading sheet. These text analysis were interspersed throughout the reading of Julius Caesar at relevant points. In order to meet the needs of the honors students, Watros decided to modify the process by giving students the full list of resources and essential questions at once. Students then chose the sources from the list that they wanted to use in the seminar independently. In addition, instead of a more formalized “close reading sheet,” students were asked to annotate the texts chosen. These changes met the needs of his more independent learners and could also add to the complexity of the discussion since the textual evidence used in the seminar would be more varied. There will be a follow-up post on this seminar after next week when students have had a chance to participate in the process. In addition, I believe that Carrie Eneix will also be using these resources with her freshmen in the coming months. I would be happy to work with any other freshman teacher who has interest in pairing Socratic Seminar and non-fiction text sources with Romeo and Juliet. This week I am in the process of hosting one-on-one meetings with teachers to look at individual STAR (part of the Renaissance Reading program) data. As part of the process, we examined current progress toward meeting SGP (Student Growth Percentile, or how students grew in comparison to their same peer group nationally), compared individual student achievement to student growth, and discussed potential strategies for using the available STAR data- including the use of differentiated activities for the four levels of student achievement identified by STAR (At or Above Benchmark, At Risk, In Need of Intervention, Urgent Need for Intervention). Here is the information from that document. Students are tiered into four groups in STAR: at or above grade level (green), at risk (blue), in need of intervention (yellow), and urgent need for intervention (red). These categories can be seen in the “Instructional Planning” (by student or class) reports. From there, you can run an instructional planning report that will show skills for each group, identifying “essential” skills. One note, make sure the date selected for the report within 30 days of the STAR test or student data will not show up. Here is a downloadable version of this same document. In regards to the four tiers and activities for each, these resources are not available for download within the program, so if you would like hard copies, I would be happy to provide them. The information able to be mined from STAR is quite interesting, and the feedback I have received from teachers about these meetings thus far has been that the data is informative and the resources useful. 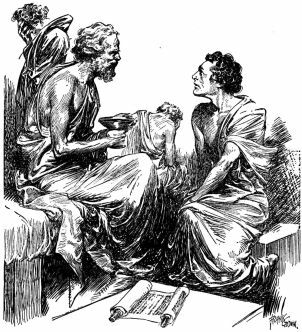 If you are interested in the modern interpretation of Socrate’s method of discussion outside of the classroom, check out Socrates Cafe by Christopher Phillips. Image linked here. Renee Jackson and I worked for a number of weeks to prepare for a Socratic Seminar using the method outlined in this post about students coaching students in Socratic Seminar. In class, we showed students this video called “Teaching the N Word” from the learning channel first. In addition, we used this Introductory Power Point outlining the roles and rules for the activity. What are the causes of violence in society? What social factors increase the chance of violence in society? What personal factors increase the chance that someone will be violent? Is violence something that some people can’t help? Is violence ever justified (especially as a means to fight against oppression)? What does it mean to be oppressed? Give examples from the texts read. Do you support violence as a means to fight oppression? Why or why not? What effects might violence have on society? The individual? Students prepared by reading through the questions and reviewing the articles and literary pieces (Julius Caesar and Lather and Nothing Else) to gather textual evidence. For credit, students had to record five pieces of textual evidence to use in response to questions of their choice before participating in the discussion. Each student had one day in the inner circle and had a student-coach on the outer circle who recorded the points for participation. At “half-time” students met with their coach to get feedback. The next day, students switched roles with their partner. If a partner was absent, students were assigned duties for the day such as tally keeper, transition tracker or “big idea” board. These roles also shared out and gave feedback during half-time. This activity took about one class period to introduce. Then, students were given 1-2 days to prepare notes. The seminar itself lasted 2-3 days. Jackson was interested in improving students speaking skills and use of textual evidence. We were most surprised by students ability to use the texts in the context of conversations and use transitions to build on previous ideas. In this way, we both found the seminar very successful. I think with more practice, the depth of ideas would improve as students become more comfortable with the process. We plan on trying this again later in the year. This handout is for students and is about writing for a blog and is organized by sections on style, content, and editing of blog posts. This handout is for teachers. It is an accumulation of ideas for using blogs in the classroom to practice creative, informational, response, and research-based writing. This resource covers the technical aspects of blogging and provides instructions for creating blogs, posting, linking media and other basic skills. There are step-by-step instructions for many procedures. It was intended for teachers, but it could easily be modified for students to cover the basics of blogging. 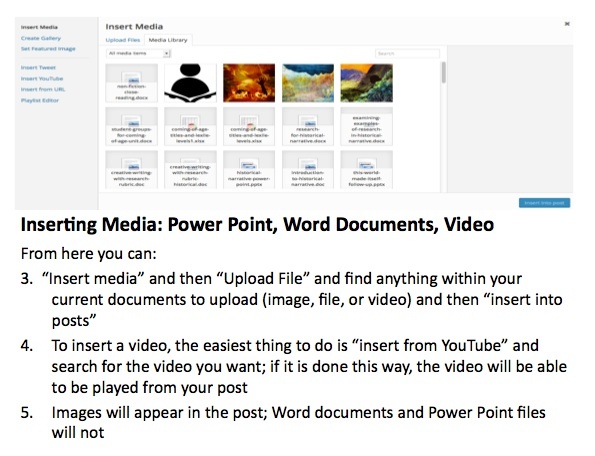 Here is an example slide from the Power Point that covers tips for inserting media (see below).